How pretty! You used so many pretty flowers to create something beautiful. I just looked at your post with the hearts too. I'm so blessed to have some of your hearts and I keep them in my bedroom on display year round. Happy sewing my friend! Wow!Great job!So beautiful,dainty and romantic!You are an artist...Congrats. 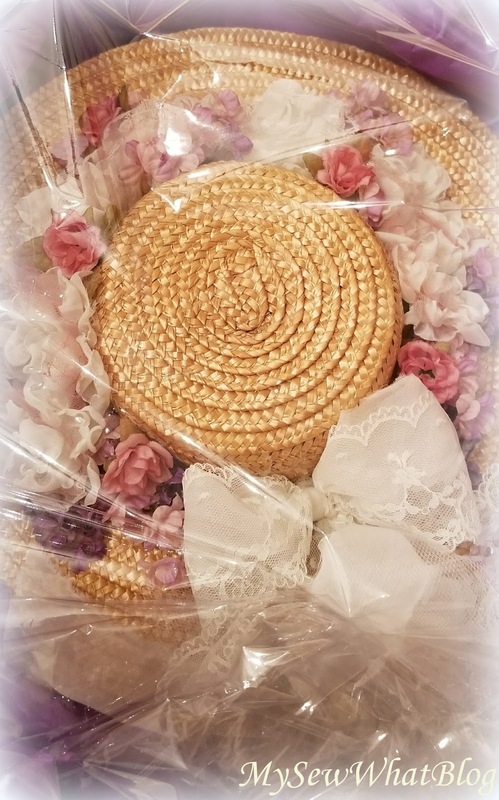 Oh Linda, what a stunning hat! 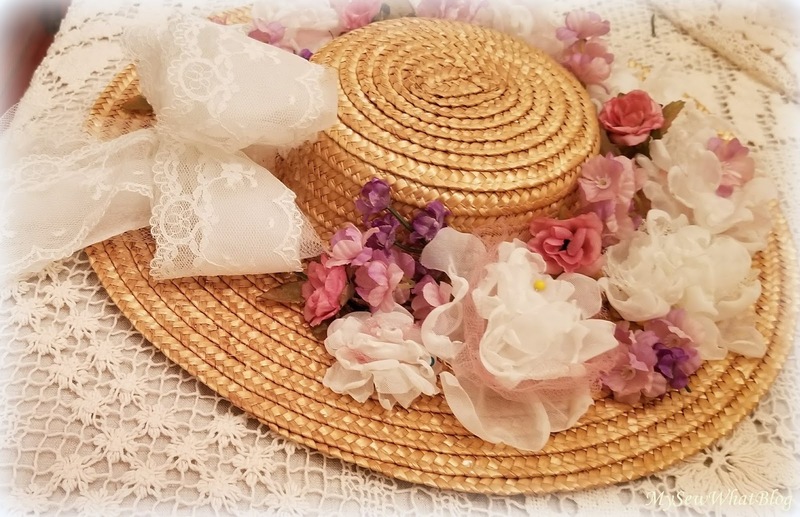 I just love the lace and flowers as they make the hat extra feminine and sweet. Wishing you a delightful afternoon. Love and hugs! 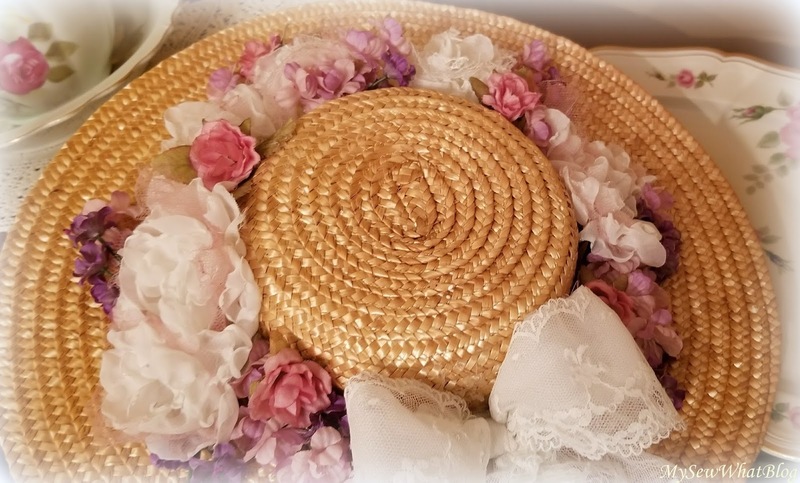 You have done a lovely job of recreating this hat into a lovely shabby chic style!! Love your wonderful flowers you have made! Such a gorgeous hat, Linda. 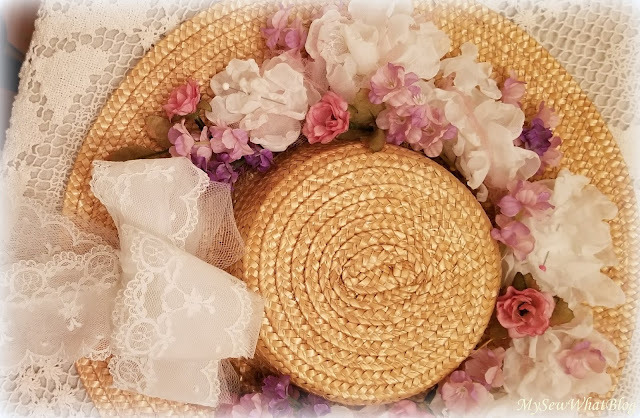 Love all the pretty flowers and lace. The straw hat turned out so cute, Linda! Your flowers are so pretty that you made. I have never tried that technique. 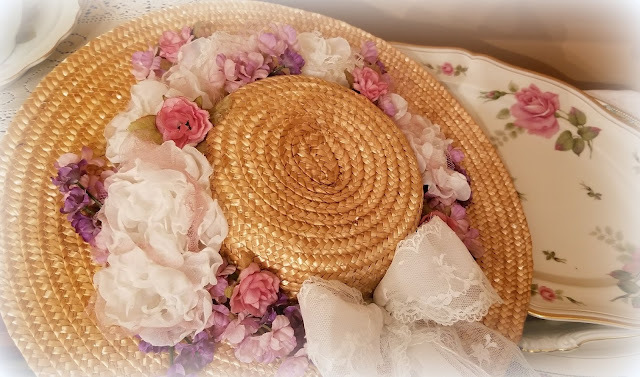 That beautiful hat belongs at a tea party, not just on a door! What a wonderful artwork, a truly masterpiece taking us back in time, thank you for sharing such a Beauty with us!